Need to choose a point of sale system for your small business, but don’t know where to start? Here’s what to look for. Small businesses have small budgets. And when you don’t have much money to invest in your business, you need to be thoughtful about what technology and business solutions you choose. One of the wisest purchases many small retail businesses make is to invest in a point of sale (POS) system. The right POS system can streamline your business operations, increase your sales, and improve your customer experience. 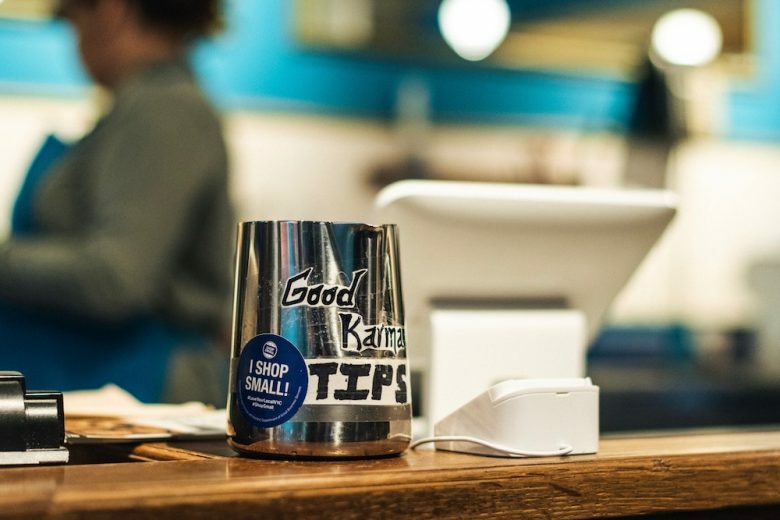 But if you’re not sure of what to look for in POS systems for small business, we explore the features and functionality you need to consider, and how to make the right choice for YOUR business. Before you begin researching POS systems for your small business, you need to work out exactly what features and functionality you need. Modern POS systems can come with all kinds of different features to make your business more efficient. You need to ensure you choose the solution that has the functions you need – but that you’re not paying over the odds for features you don’t need or use. So what are the issues you want a POS system to solve? Having issues keeping up with your growing inventory? Choose a POS system that offers automated and real-time inventory management. Want accurate sales data and other business metrics? Find a POS system that offers a robust reporting feature. Or want to connect your brick and mortar store with your e-commerce site? Find a system that offers plenty of integration options. To make it easier, you can choose a POS system that’s designed specifically for your industry. You can find POS systems for restaurants, retail stores, online businesses, and many other industries. How much are you able to spend on a POS system? After you’ve come up with a list of possible POS systems, the next factor to consider is the price. You don’t want to choose the most basic if it doesn’t meet your needs, but neither do you want to commit to a system you can’t afford. One thing to consider is whether you want to lease or buy your POS system. Leasing may seem like a more attractive option for a growing business because it comes with little to no upfront costs. But over time, the cost of leasing will surpass the cost of buying the system outright. You’ll also want to avoid falling for the ‘free’ verbiage. We all like free things, but we all know that few things are genuinely free in life. POS system vendors that advertise that the system is ‘free’ typically mean that the software itself is free. You’ll still have to pay for the cost of hardware, monthly transaction fees, and other costs. How will you integrate your new POS system? Bringing in a new POS system shouldn’t render the current applications you use useless. It’s crucial to find a flexible system that is able to integrate with other programs and applications. The ability to connect the POS system to your accounting software or customer relationship management software, for example, enables you to make thorough and smarter business decisions. Integration ensures that your new POS system is flexible and can grow with your company. You want peace of mind that the system you’re spending money on won’t be outdated in just a few years. So make sure you ask POS vendors about available integration and existing features. Does the system have customer data tracking? The ability to track customer data and behaviour via a POS system is crucial. Not only do you need to track sales data and inventory numbers, but you also want to have a clear understanding of what your customers are buying, and how often they’re purchasing from your business. Create more effective marketing campaigns. Manage a customer loyalty program. Notify customers of upcoming sales and promotions. By tracking customer data, you can provide a more tailored customer experience for everyone who walks through the doors. This ensures overall satisfaction and increases the chance of customers returning for repeat business. Does it have mobile features? As we’ve already covered, POS systems offer all kinds of features designed to make business operations better and faster. And one key feature that you don’t want to miss out on is mobility. We live in a mobile-driven world. In 2020 it’s predicted that smartphone users globally will increase to 2.87 billion. Through mobile devices, we are able to bank, shop, and connect with others. From a POS system standpoint, mobility will benefit your small business in many ways. At your business’ physical location, you can use mobile devices to provide check out services from anywhere in the store. Tablets connected to the POS system can be used as mobile checkout, allowing customers to avoid standing in line. A mobile POS system is also beneficial in that you can view reports, metrics, and other business data no matter where you are. No matter if you’re on vacation or traveling to meet with a potential business partner, you will have access to the data you need. This allows you to manage your company, even when you’re far away from the office. Knowing what to look for in a POS system for small business is crucial to ensure you’re making a wise investment. Keep these factors in mind to guarantee that you’re making a smart business decision that will benefit your brand, your employees, and most importantly, your customers.